This is a last-minute call, so please respond promptly to Lisa if you’re interested in helping out! 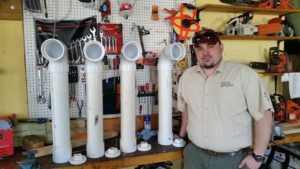 The Blackstone Heritage Corridor is doing a big push to have fishing people properly dispose of their fishing lines. If those lines are allowed to just get “thrown into the wind” they end up hurting animals, tangling in trees, and making a mess. 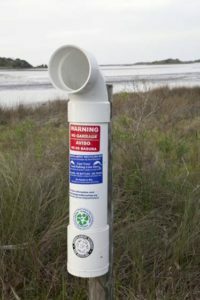 So to help with this, they are installing PVC pipe disposal units in fishing spots. Now they’re looking for local artists to paint them. The painting can be birds, or fish, or whatever strikes your imagination. The stickers will be put up separately so you don’t have to worry about stickers going over your artwork. Your artwork will stand alone. If you know how to paint on PVC (and then coat it so it stands up to outdoor location) please let Lisa know promptly! The fishing derby is coming up quickly and we would want to get started on it soon.